Comparisons between Fallout 3 and Fable 2 come easily. Both games are high-profile, open world RPGs with heavy emphasis on character customization and moral dilemmas; also, their names begin with the letter 'F' and end with a number, and they came out at the same time. 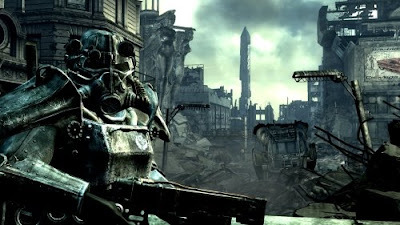 Michael Abbott will note that, in contrast with Fable 2's deliberately authored story, supported by memorably written and voiced characters, the NPCs of Fallout 3 appear lacking in interactive and emotional depth. 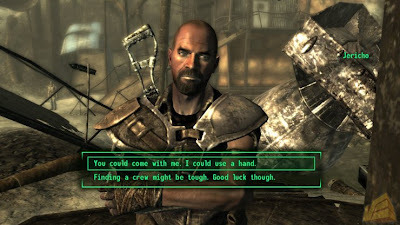 I think that the characters work well enough for the specific purposes of Fallout 3. They may never fully endear themselves to the player, and they might not be cool enough to cut it as someone's cellphone wallpaper, but they're sufficient to populate the world believably and in this game that's what matters. If there's any substantive dialogue or conversation going on in Fallout 3 it's not between the doctors, the raiders or the paladins; it's between the player and the world. Fallout 3 is a game in the tradition of Half-Life, BioShock and Myst rather than Knights of the Old Republic or Psychonauts. Your avatar is an excuse to explore a place, and you discern the history of this nuclear war through your own exploration of geography and architecture. The characters exist to show you what's happened to humanity; the world isn't there as a backdrop for their personal dramas. The main character in Fallout 3 is Washington, D.C. Certainly, Bethesda could have extended their NPCs a couple extra layers of interaction deeper or infused their dialogue and facial animation with greater expression. As Steve Gaynor points out here, though, choosing to maintain the plausibility of environment over character requires some sacrifice of the latter. The NPCs can't exist on the higher plane of complex interaction to which Bethesda took the wasteland. If Bethesda thought they could do everything, if they'd had NPCs running all over the place trying to tell you about their personal stories at any conceivable location in this infinitely variable sandbox, then they'd have the emergent disasters of GTA IV: stealing cars and running over old people before the eyes of your oblivious date. The NPCs are limited, deliberately, because Bethesda know their limitations. While the Fallout 3 characters aren't frozen in place like they were in Morrowind, or like they are in Mass Effect, they're clearly restricted in their movements. They are confined within a radius of loci points like goats tethered to a post, to use a mathematical concept I learned when I was eleven and never thought about since until this paragraph. It's a design decision Bethesda adhere to, except when they don't. Because, sometimes, they won't. Occasionally they'll violate their own rules and gift a certain subset of NPC -- the permanent companion -- with greater autonomy, which ends up compromising both the character and the world. Fallout 3's a personal experience, gradually revealing the world to the player, whose avatar never gets in the way. It's a compact between two parties which was never built to accomodate a third character. Of all the potential sidekicks who can get in to the passenger seat, none of them will respond to any of the emergent events, the horrifying discoveries or the plot turns which punctuate this game. Given how exciting Fallout 3 often is, it's deflating, with your adrenaline at such highs, to have your emotions tempered by the constant presence of this unresponsive cipher who isn't interested in what's going on. The game doesn't incorporate a third character into your conversation, it ignores them and so they feel false. Their presence is an immersion problem. The companions are out of sync with the rest of the game. Aside from fights, they won't react to any external factors, and neither the story nor any other character will ever acknowledge their existence. It's as if you have an imaginary friend, except you're all too aware of the emotional dead weight you're carrying around. They're accessories, effective only as mobile turrets and dress-up dolls. Any NPC is believable to a point, and as soon as their scripted routines are disrupted all the flaws become quickly apparent. Bethesda largely prevents that from ever occurring, except, inexplicably, in this case. It's a technical issue. The companions can't be programmed to exhibit a convincing array of responses to all the emergent possibilities conceivably generated in an open-world playground. Games aren't able to simulate human behaviour at the level which Fallout 3 requires to be consistently credible. What level are they at? The dog. Fable 2 knew this as well. 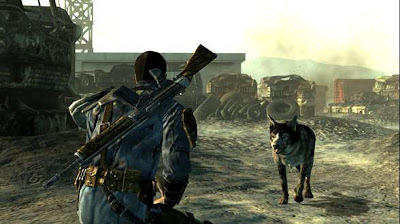 Behaviourally, Fallout 3's Dogmeat is as sophisticated as all the other companions, but nobody would ever think to involve a dog in the plot or ask him for advice. He runs around, bites monsters, barks, and you can tell him good boy and send him to fetch things. He acts like a dog where none of the other companions act sufficiently like people. What's more, nothing in Fallout 3 provokes a similar reaction to seeing a super mutant who's beating Dogmeat with a sledgehammer. No other character makes you drop everything and tear that mutant apart. It's at once charming and surprising how instinctively the words get away from my dog will come to you. 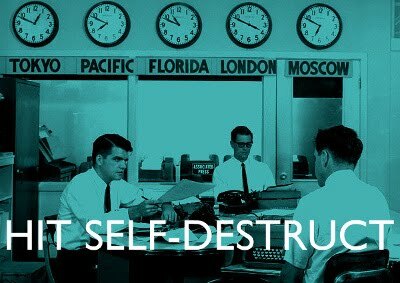 That's the goal. On the immersion meter, we're at "dog". Getting to "human" is a process. Until then there's something special, sadly, to be said for solitude; also, dogs. I found my companions patient and polite during my conversations with others, as well as being helpful during combat. They were good company in the wasteland. I liked having them around. It might have been nice if they'd each had a side-mission associated with them, like the crewmembers in Mass Effect did. This is a problem that has existed for quite some time within this particular series. In replaying the first two games, I found myself frustrated how my companions were nothing more than combat bonuses, essentially. Personally, I went without the companions, especially after one decided to get into a bout of fisticuffs with a Deathclaw. Oh well. Fawkes is fun to have around, and isn't much more sophisticated than a dog. Still, it would have been nice (and a good deal more realistic) if the residents of Megaton would have run screaming at the sight of a super mutant in their midsts.